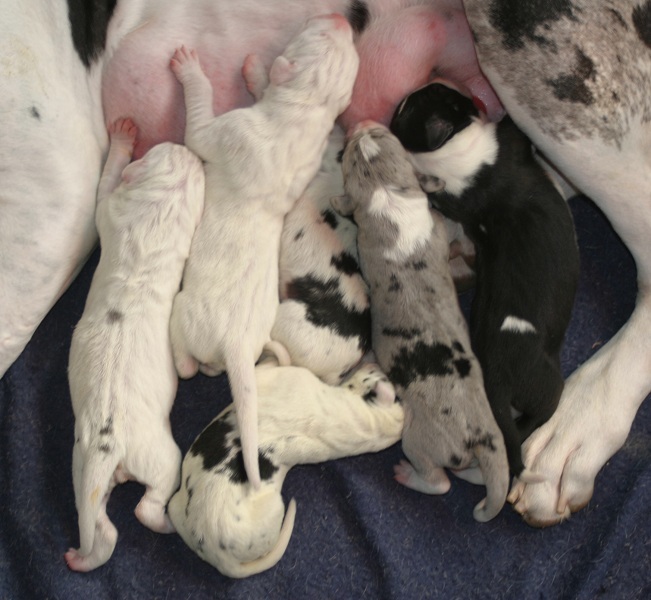 This is a repeat breeding. 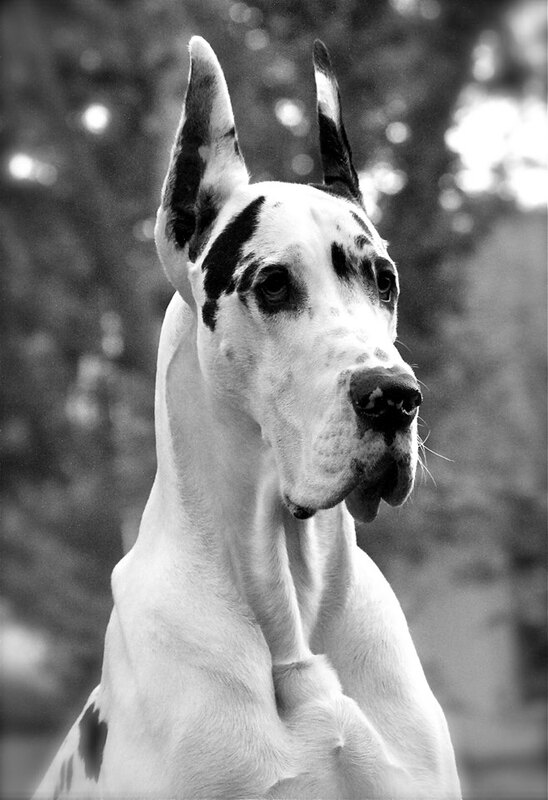 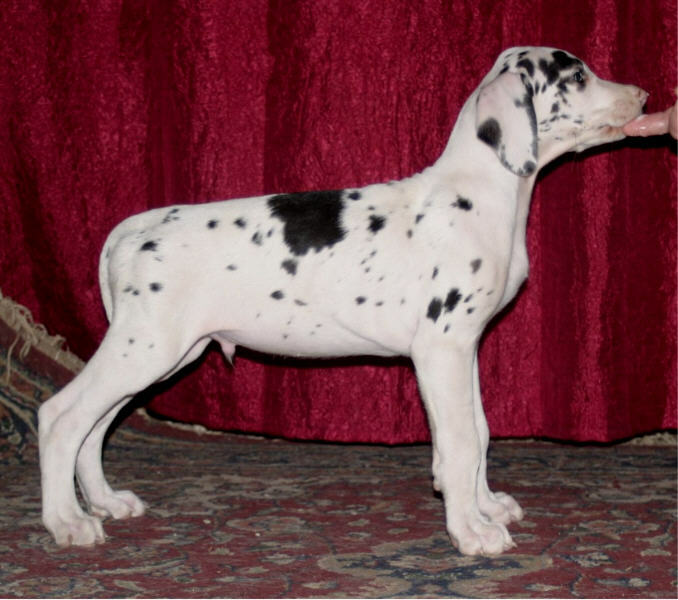 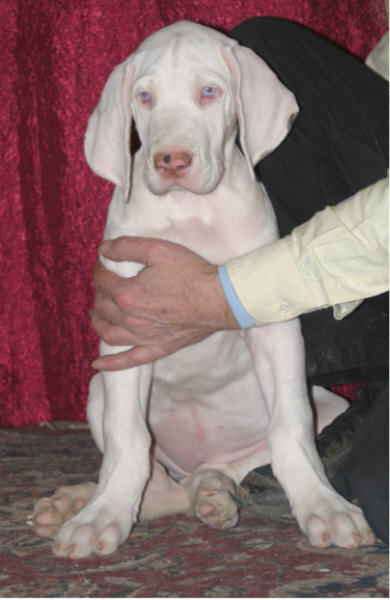 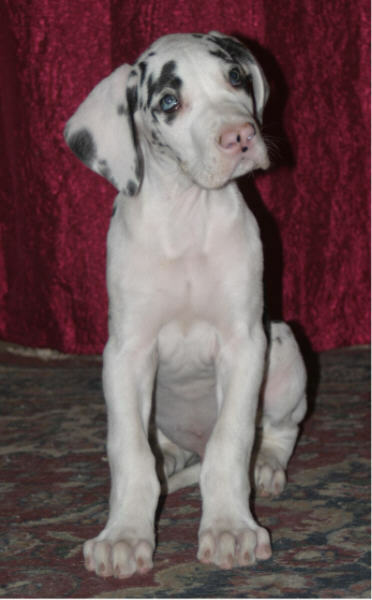 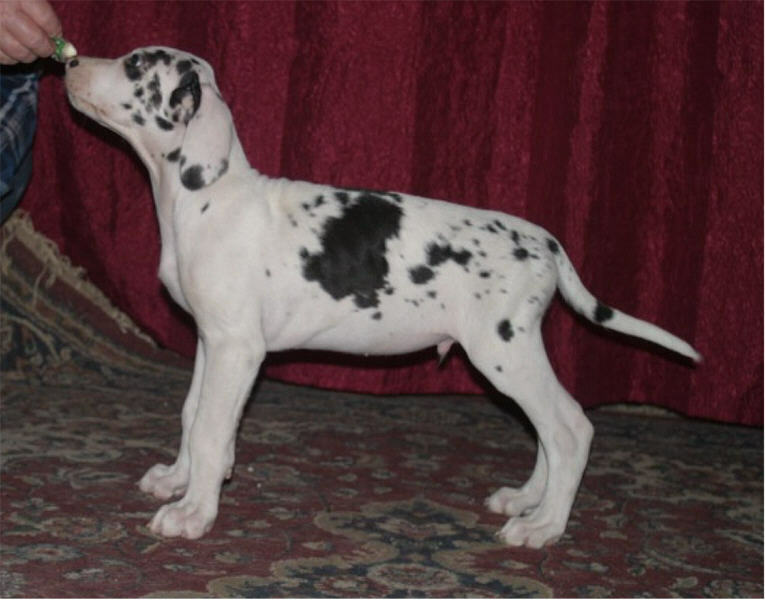 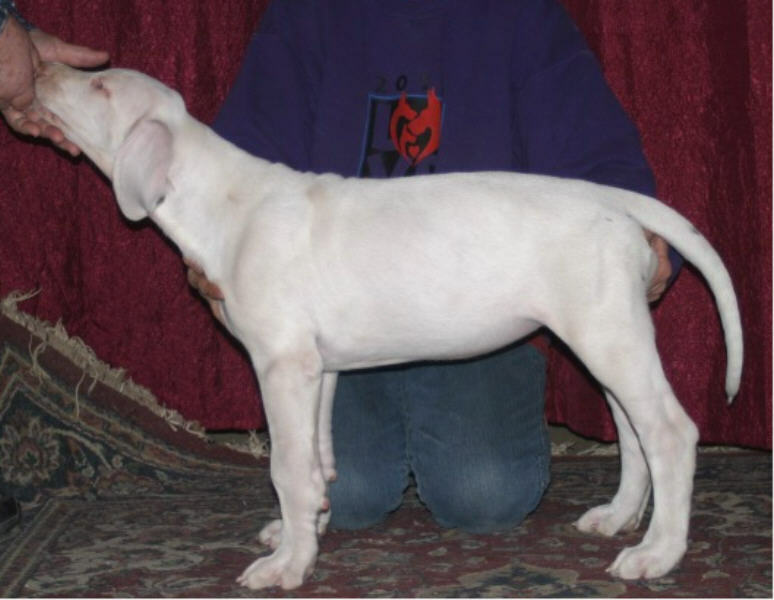 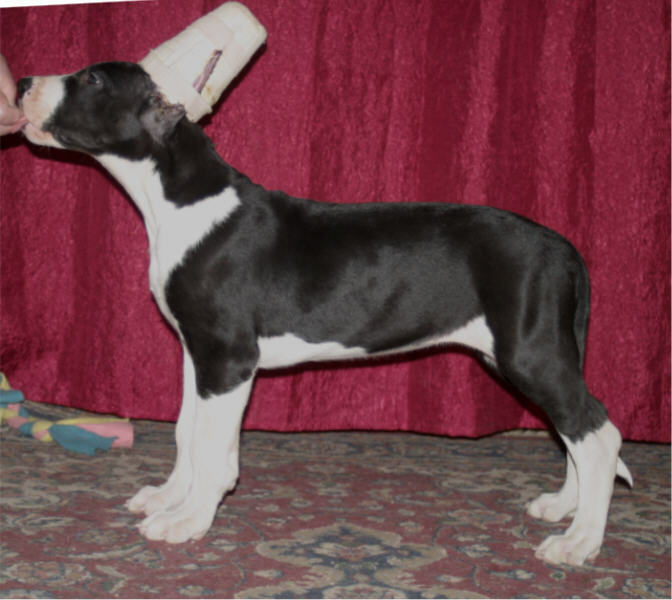 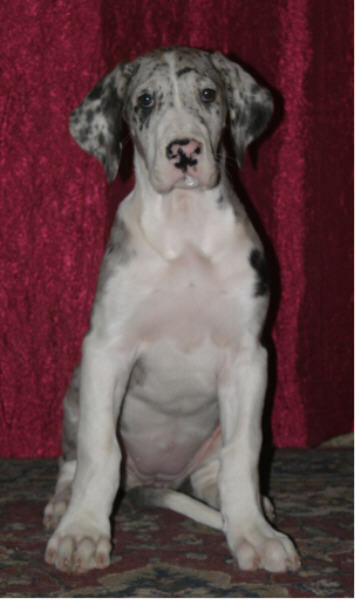 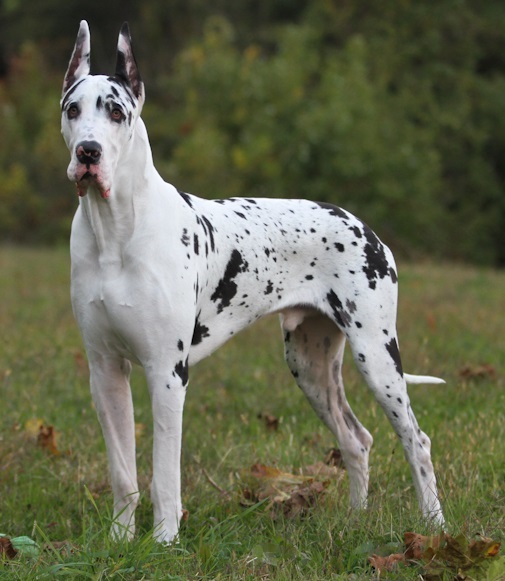 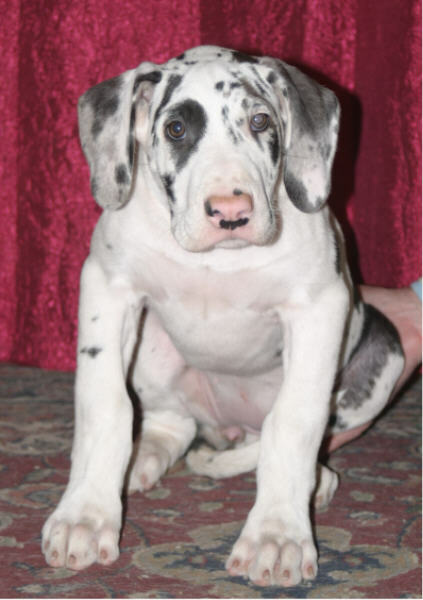 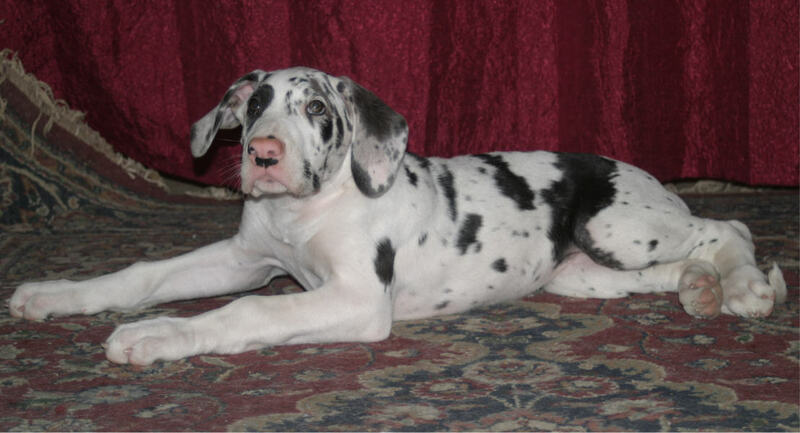 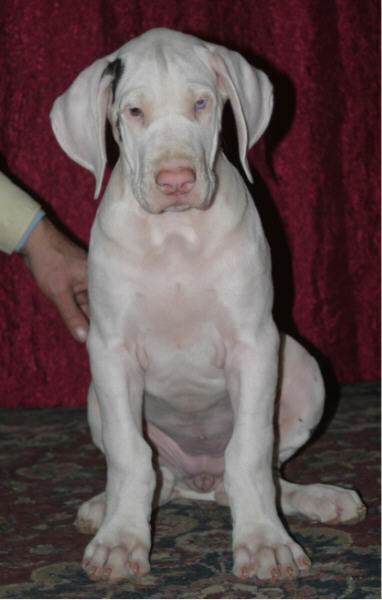 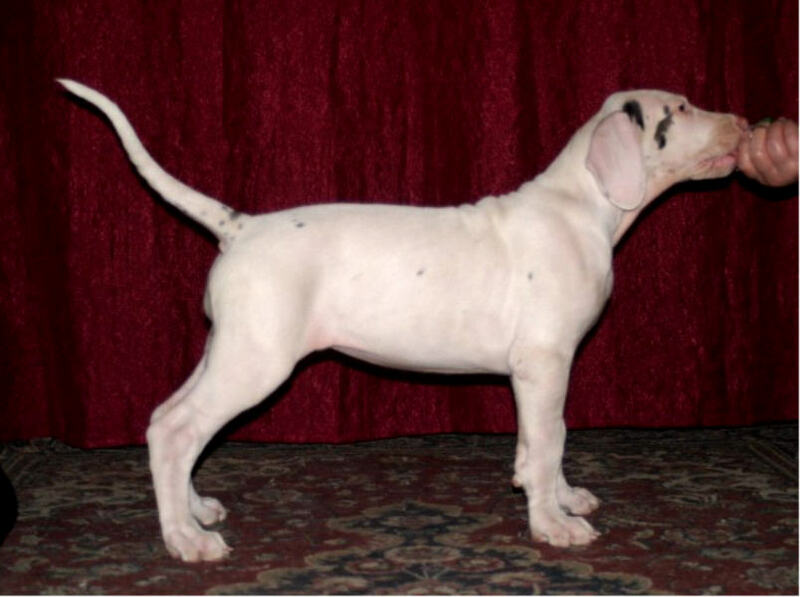 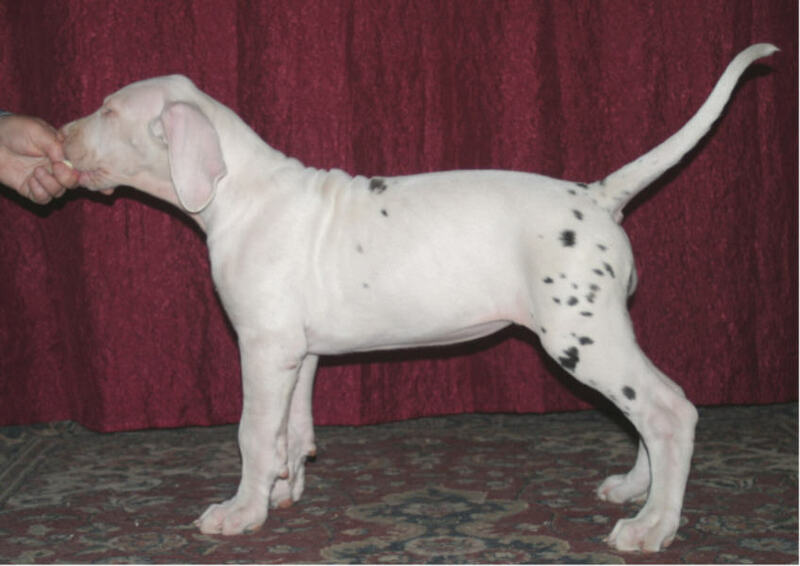 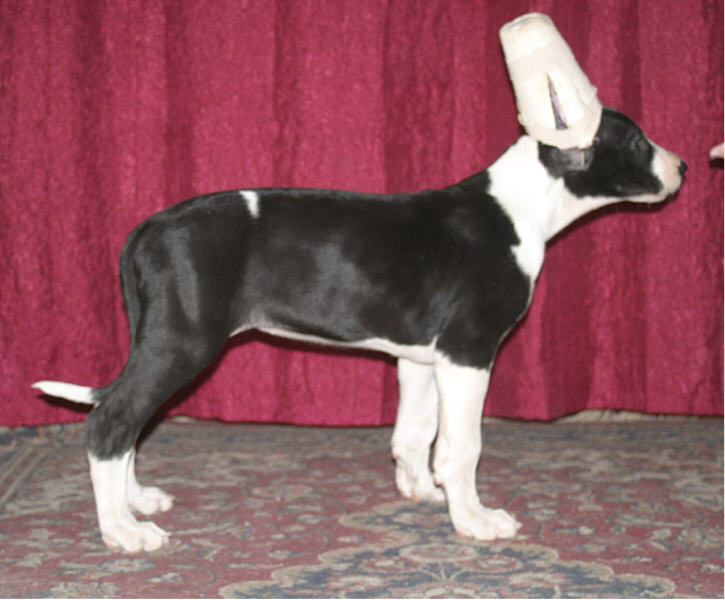 The first breeding produced wonderful puppies, now 7 months of age. 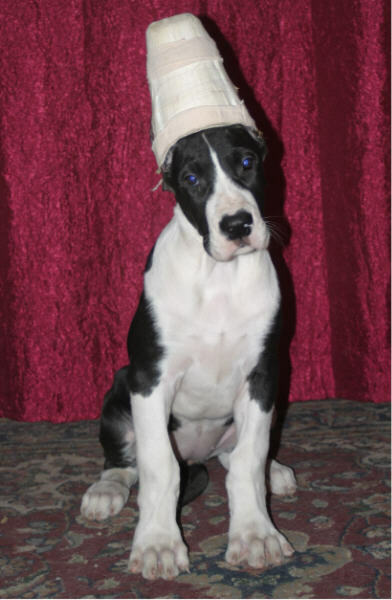 I did not get the girl I had hoped for, so we tried again. 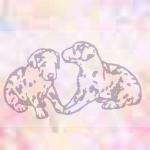 Fate smiled this time. 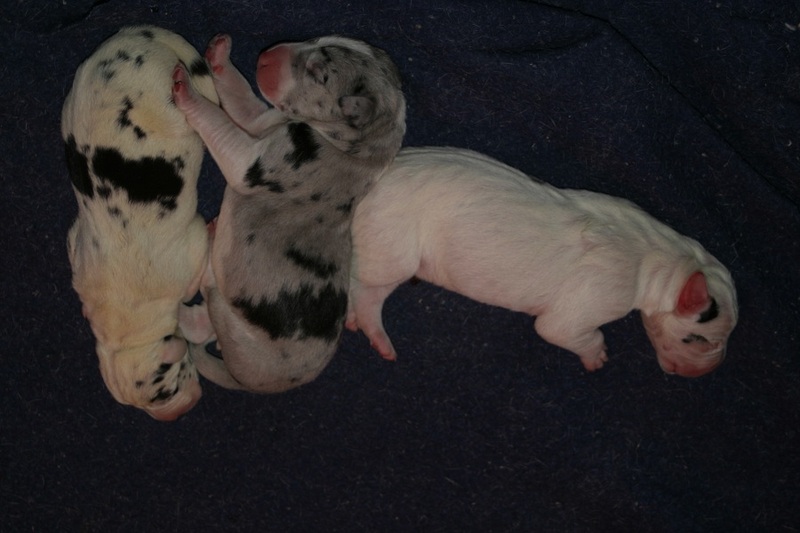 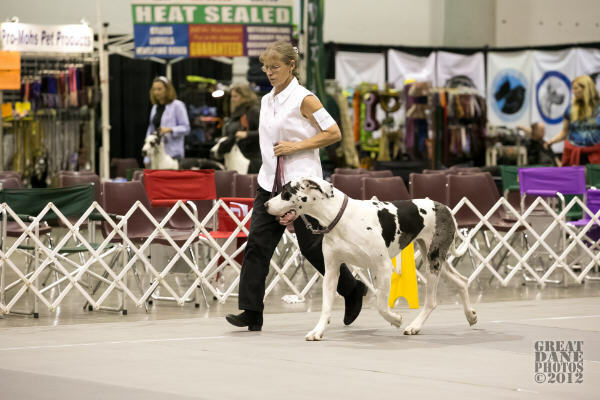 There is 1 harlequin male, 1 harlequin female, 1 lightly marked harlequin/white female, 1 mantle female, 1 mantle merle female, and 1 white female. 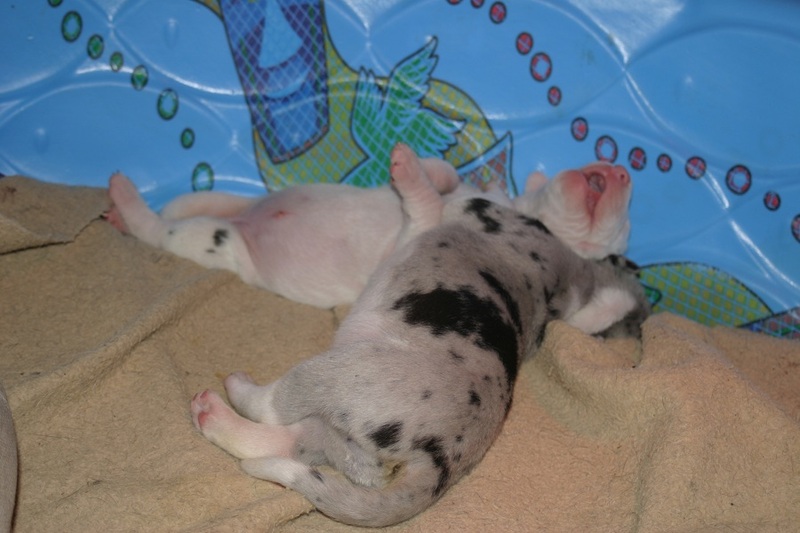 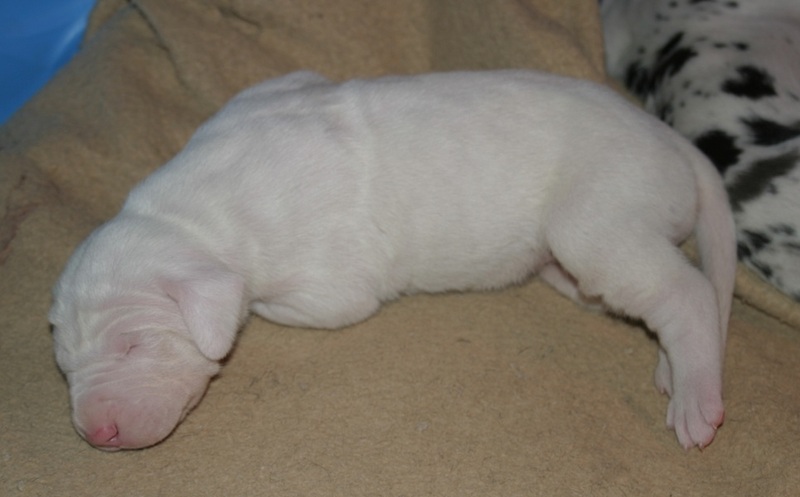 I will not know until the white puppies are about 4 weeks old whether or not they can hear. 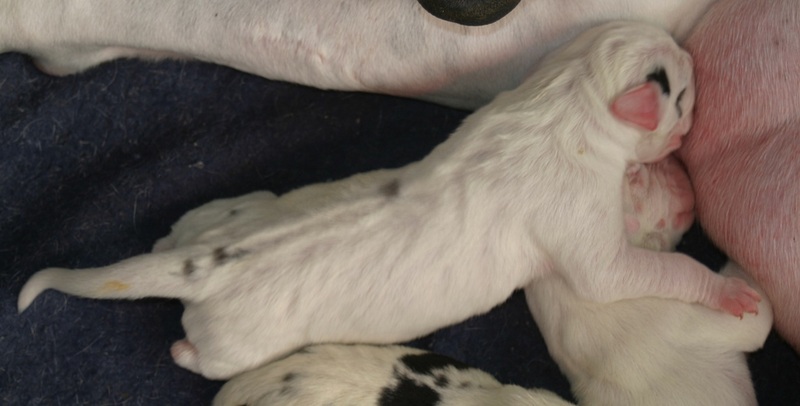 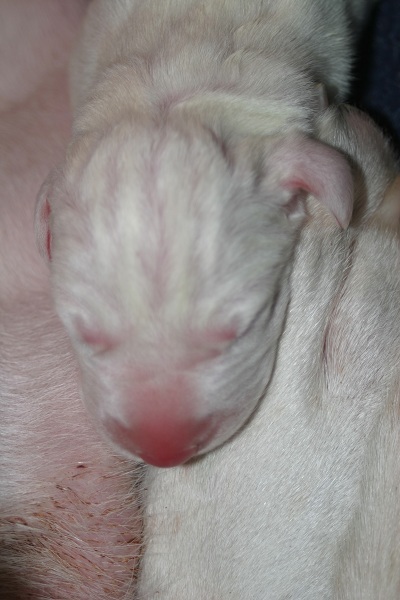 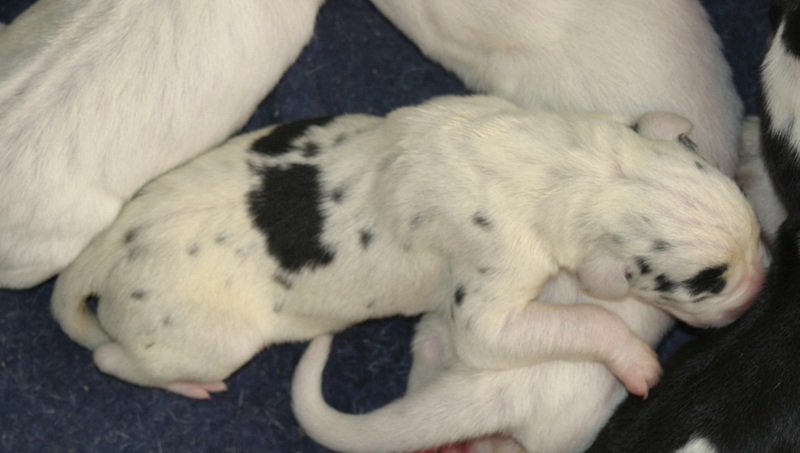 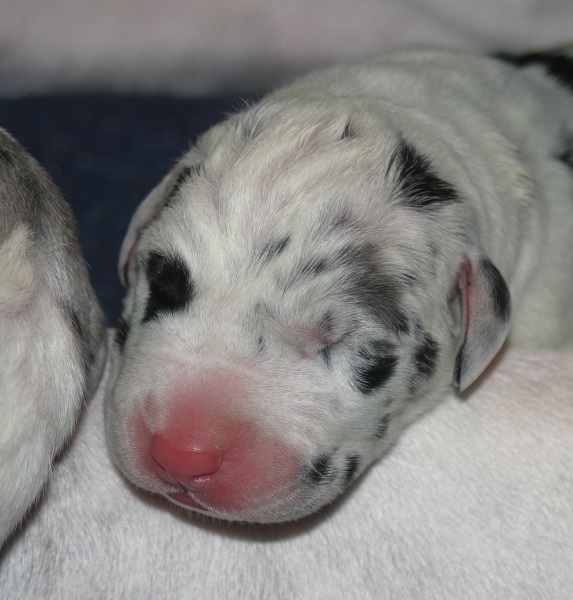 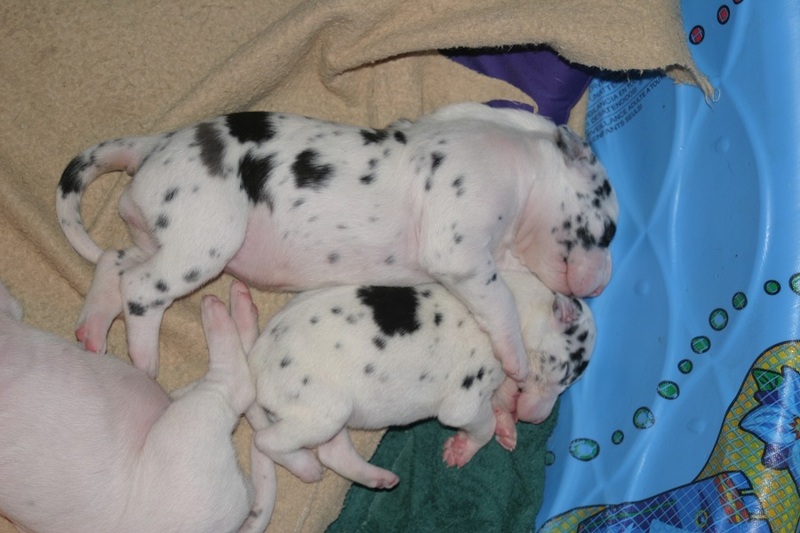 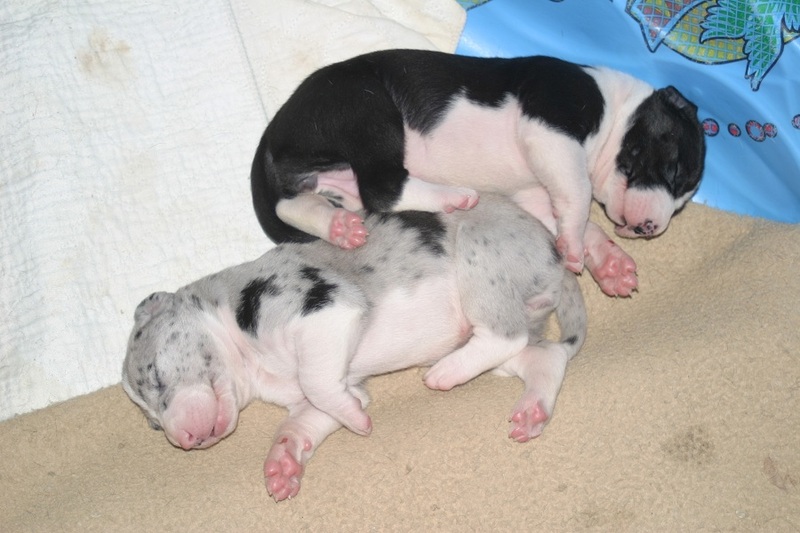 Both of the whites in the last litter had normal functioning vision and hearing. 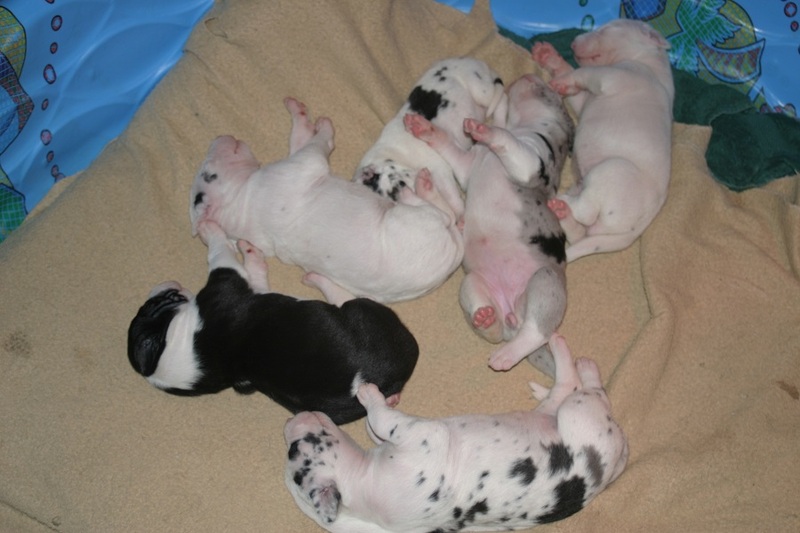 The following are pictures of the puppies at 9 weeks of age. 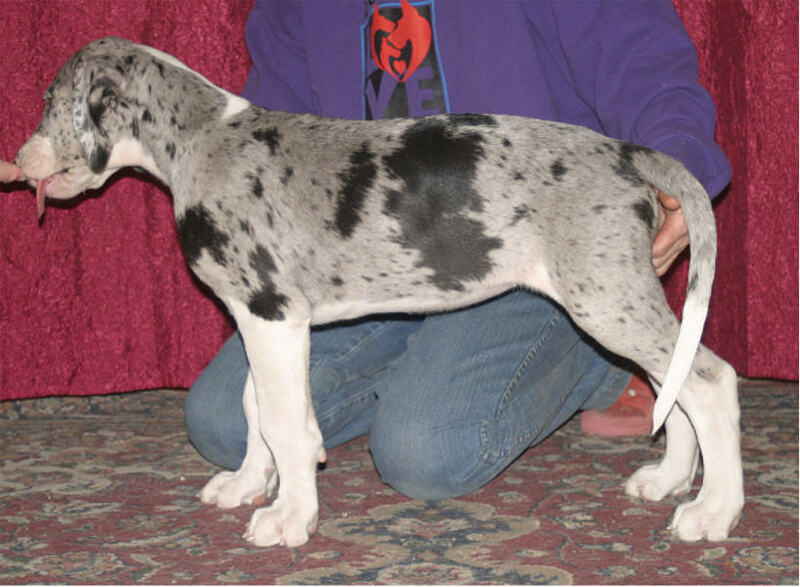 Liberty's Chroma Total Eclipse Of The Moon "Devina"
Mantle female-Available to a show home. 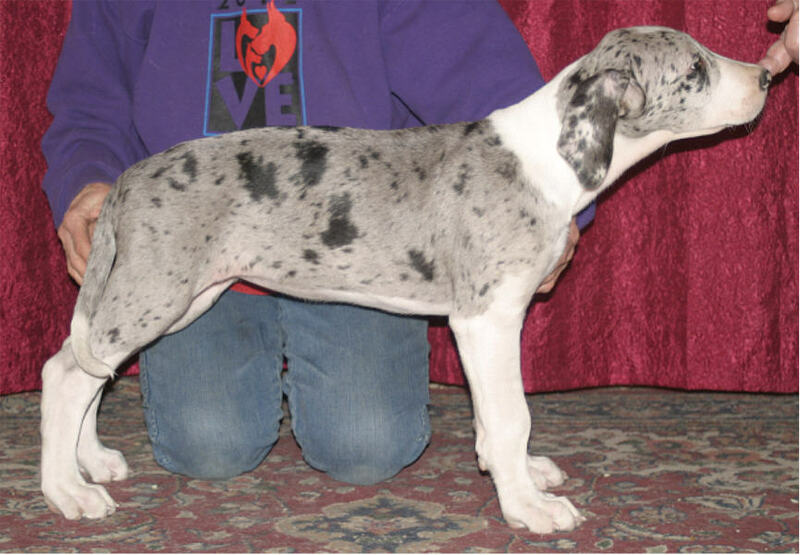 Liberty's Chroma Dancing In The Moonlight "Jovanna"
Liberty's Chroma By The Light Of The Silvery Moon "Sylvia"
Mantle Merle Female-Available to a companion home. 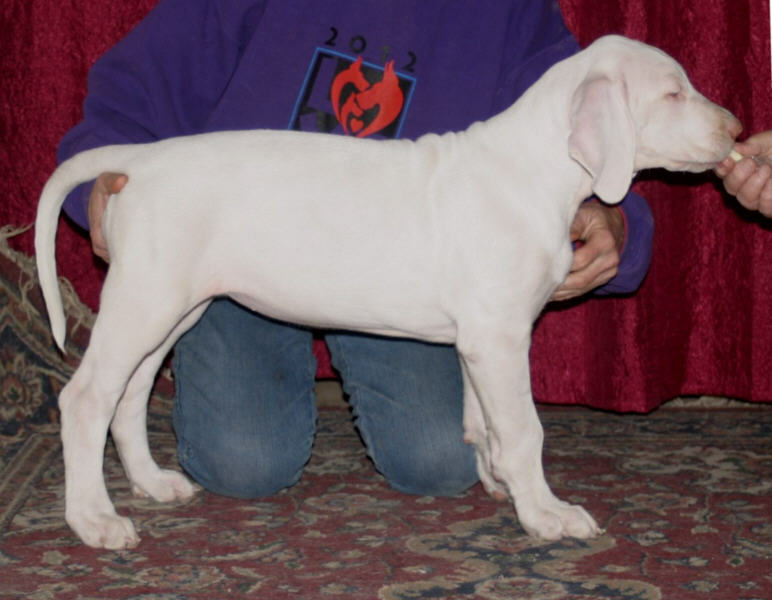 Liberty's Chroma Moonlight Serenade "Sere"
White Female-She is deaf, but has normal functioning vision and is very intelligent. 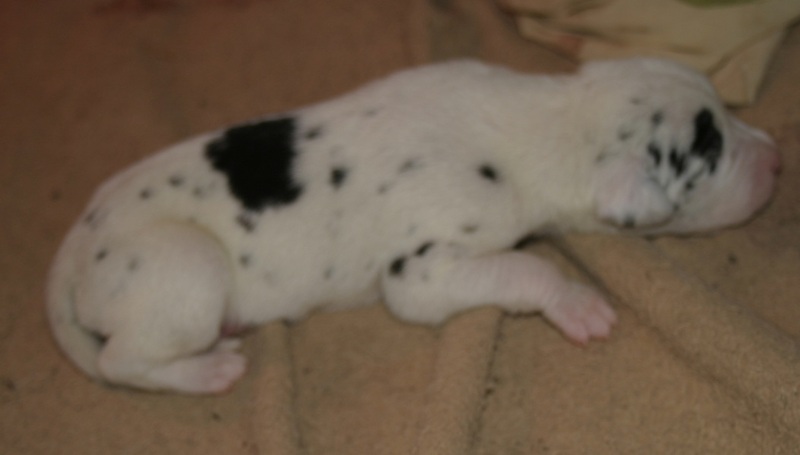 She is available to a companion home. 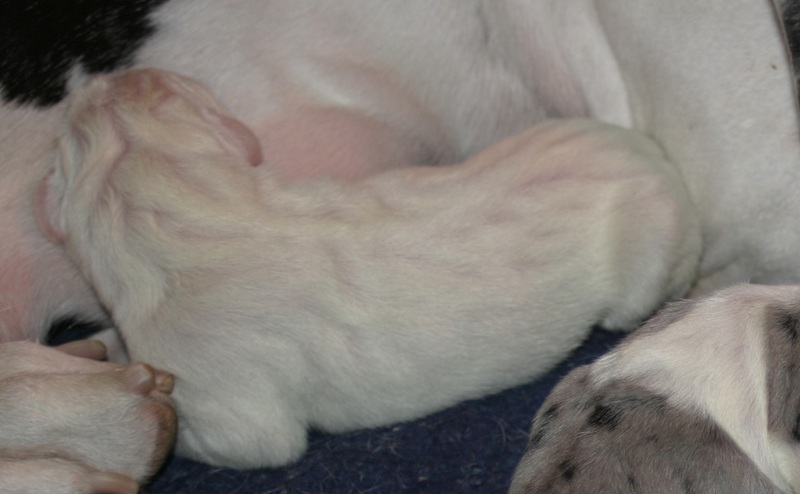 Liberty's Chroma Written In The Stars "Destiny"
Liberty's Chroma Man In The Moon "Big Mac"
Here are a couple of shots of Jahari, such a loving mother! 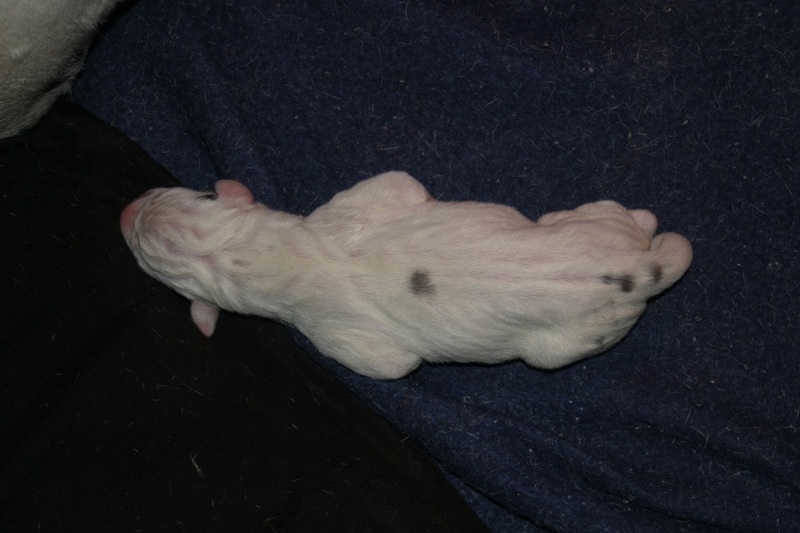 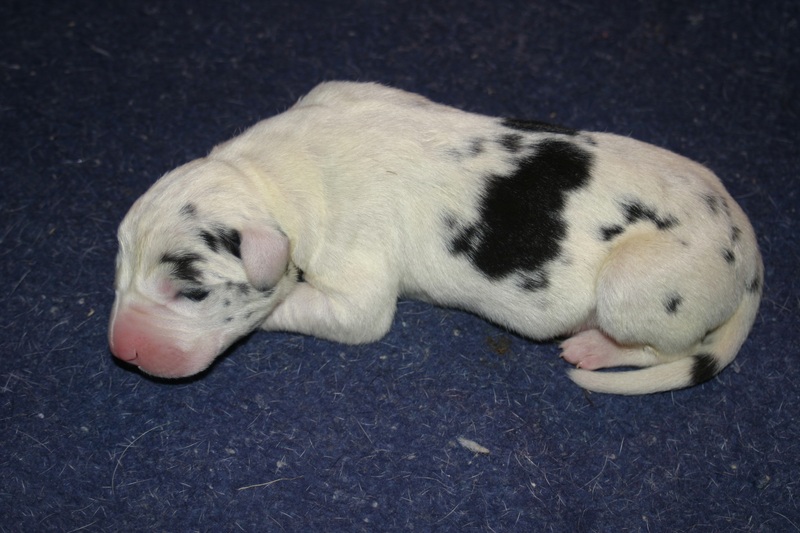 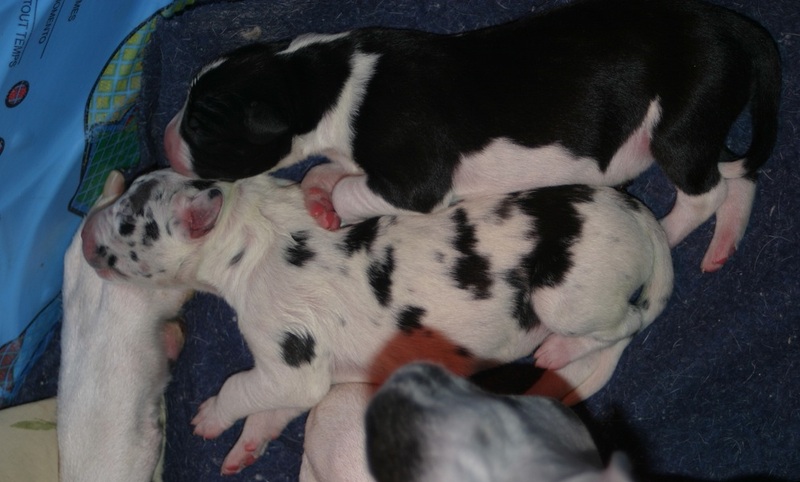 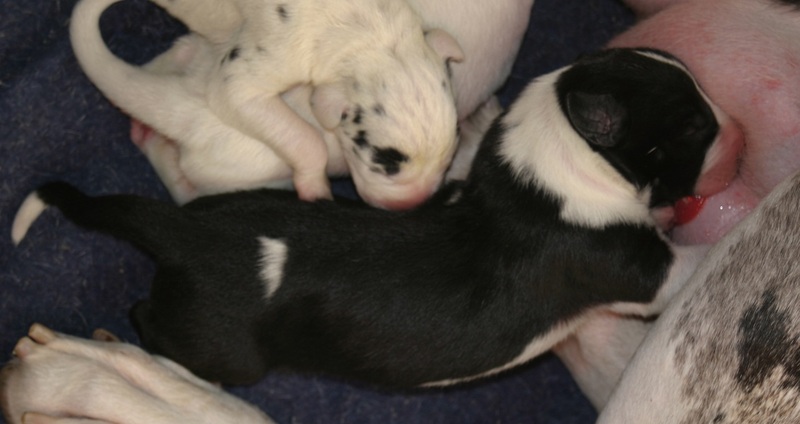 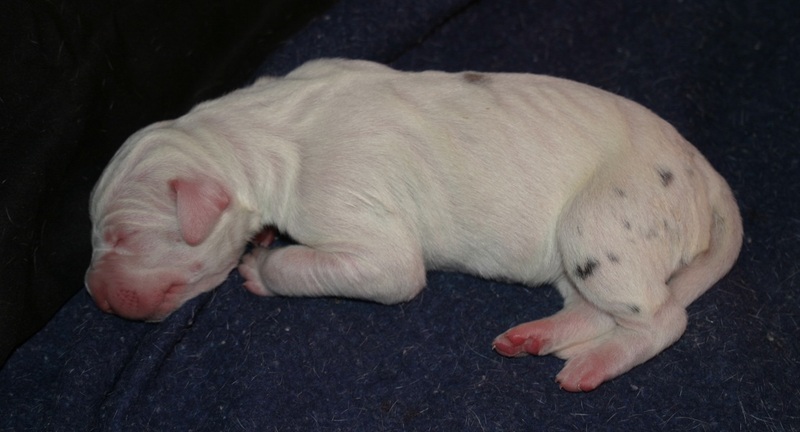 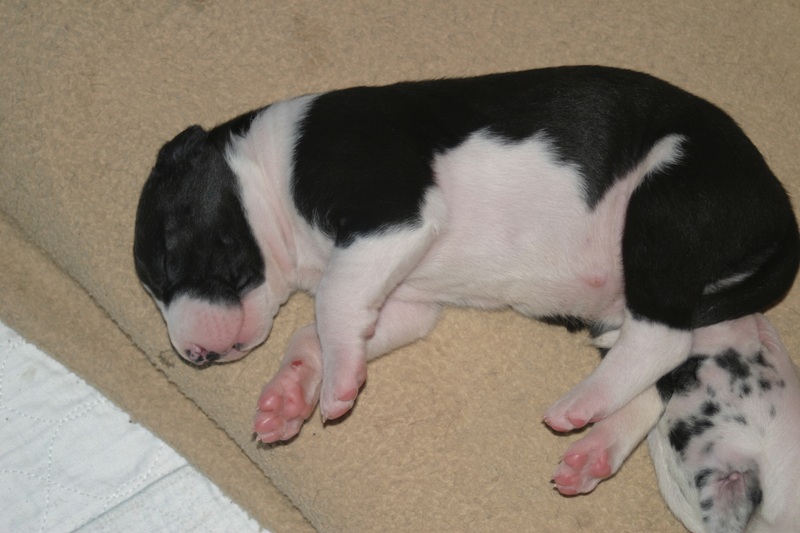 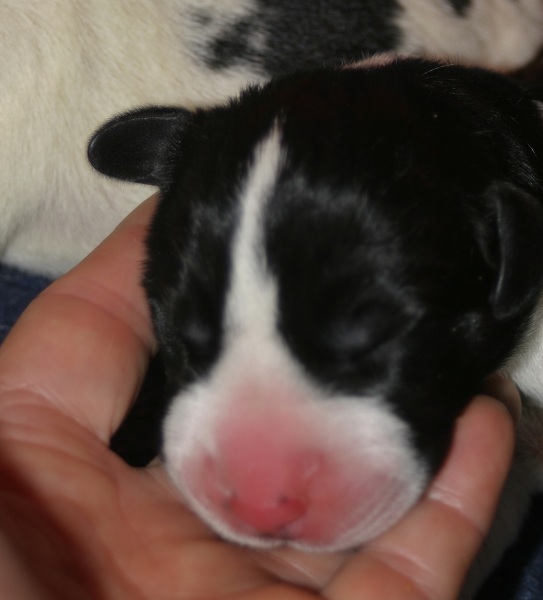 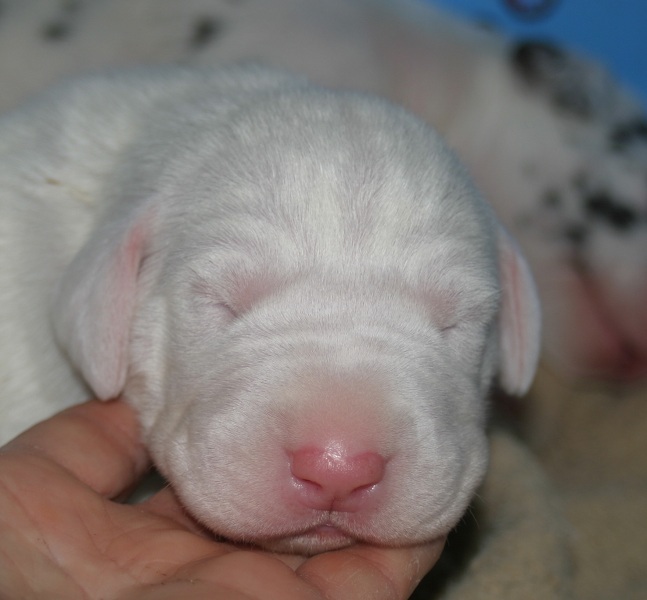 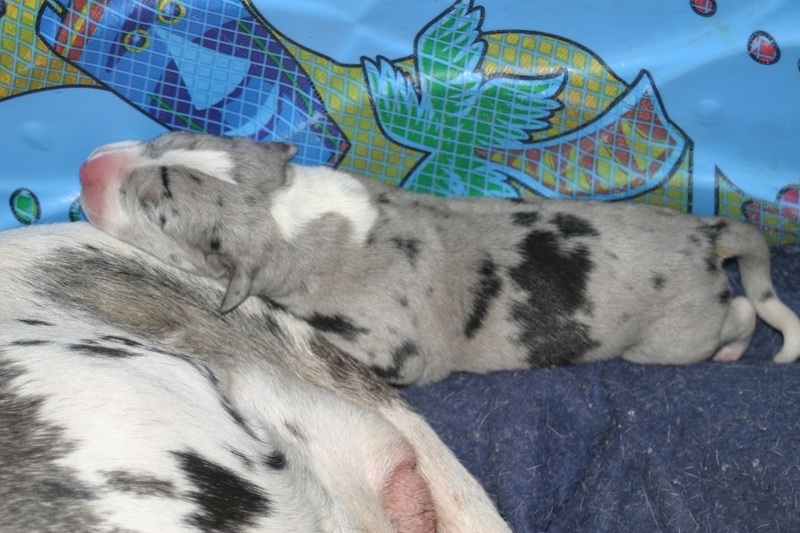 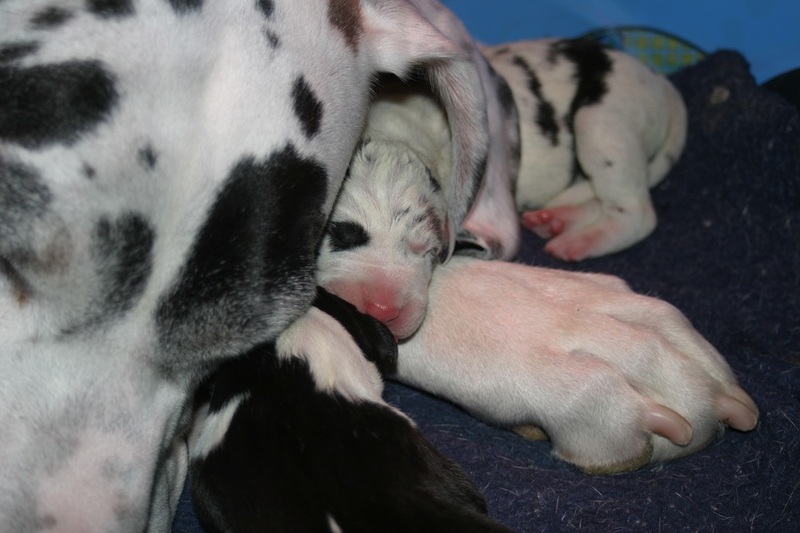 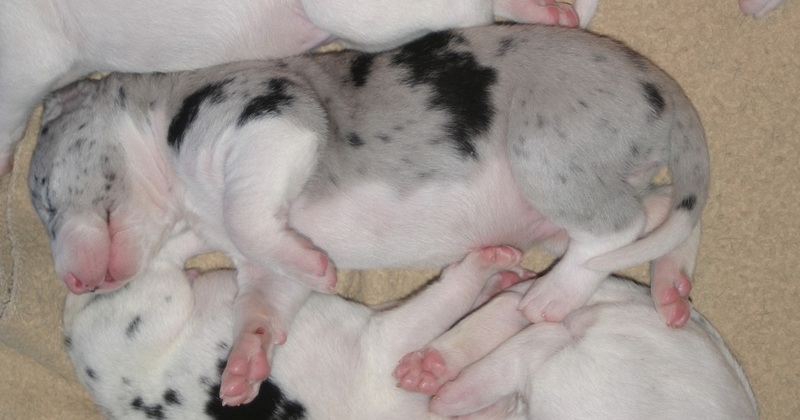 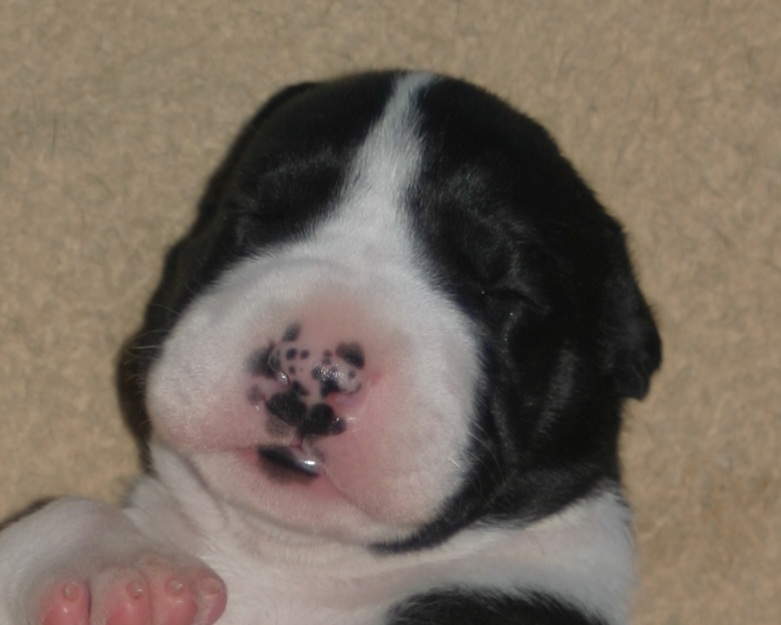 The puppies are a week old in the following pictures-growing and active. 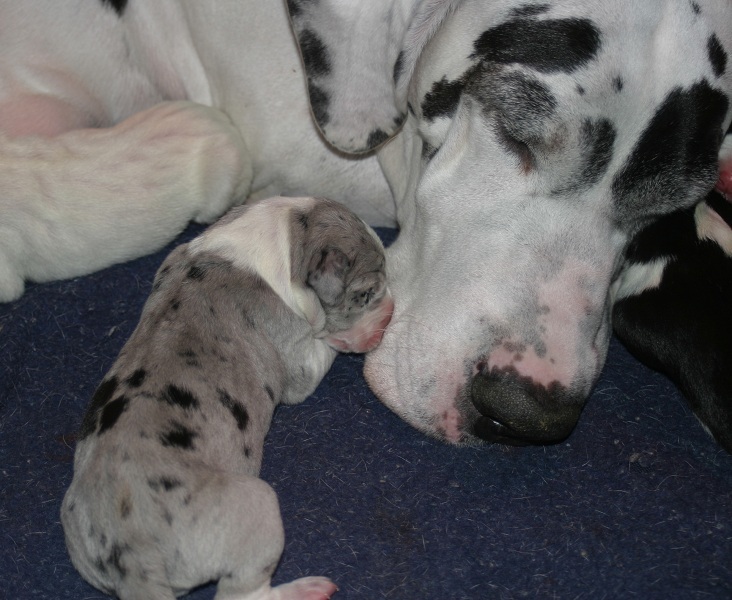 Big sis is looking after her little brother. 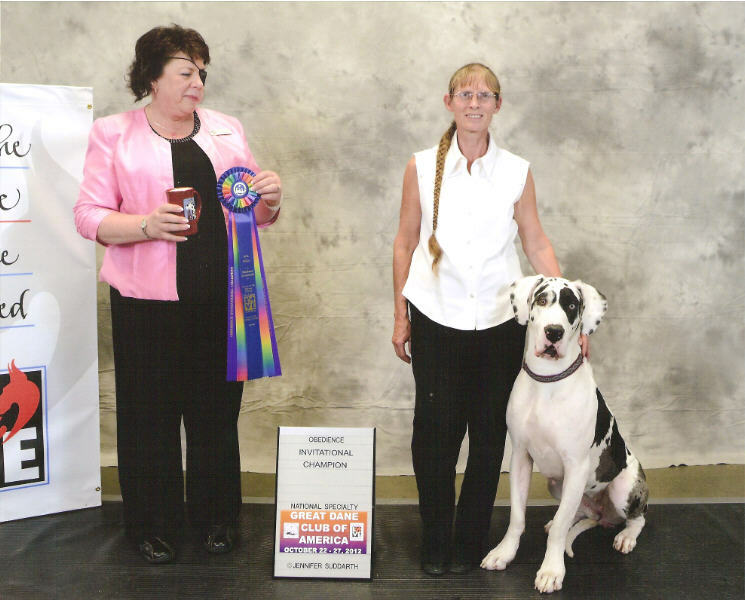 Both parents are CHIC and both are titled in obedience. 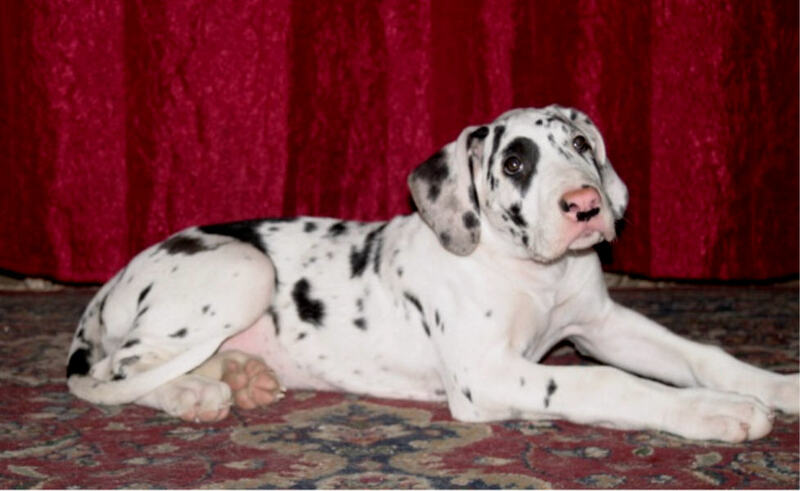 Both come from lines with excellent temperaments, intelligence and longevity.